Professional Software Inc. of Needham, Mass. 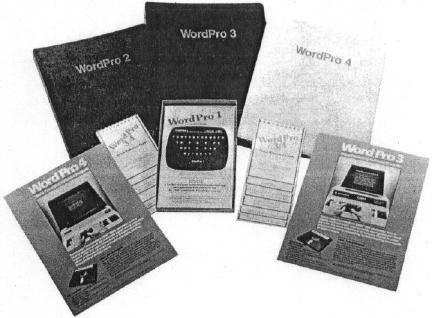 has announced the availability of WordPro 3 Plus and WordPro 4 Plus word processing software for use on Commodore Business Machine computers. In addition to all of the highly advanced features currently found in WordPro 3 and WordPro 4, many new capabilities are now easily accessible. New features include: Math Functions (adding and subtracting columns of numbers within text), Superscripts and Subscripts, Bold Overstrike, Exit to Basic, Variable Lines per Inch, Additional Pitch Settings, Audible Feedback, Pause Command, and Simultaneous Input/Output (WordPro 4 Plus Only). For all its sophistication, however, a major benefit of WordPro Plus continues to be its "turn key" design and ease of use. Over 4,000 copies of WordPro are currently in use worldwide and are available to Dealers and International Distributors exclusively through Professional Software Inc.
Professional Software also announced that its WordPro Plus programs provide capability for multi-user word processing. Together with the Multi-Cluster, WordPro 3 Plus and 4 Plus allow the use of up to 8 CPU's with one disk drive, thereby creating a real-time "Multi-User" word processing system. In addition to other forms of dealer support, Professional Software has introduced its exclusive Dealer Demo Pak. This Demo Pak contains demonstration programs of WordPro 3 Plus and WordPro 4 Plus, a Commercial Systems Sales Training Manual with emphasis on word processing sales, four-color WordPro Plus Posters, and an extremely complete WordPro Literature Package designed to give dealers concise and professional marketing support.